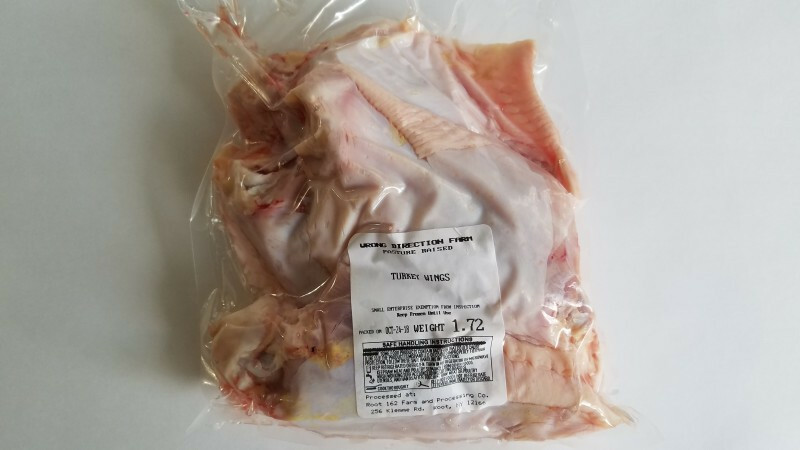 Each package contains four wings from our pasture raised, all organic turkeys. These are all wing "flats", the middle section of the wing ideal for wing recipes. Turkey wings do best with a sauce or gravy coating, and slowing down the cooking helps to bring the wings to maximum tenderness.